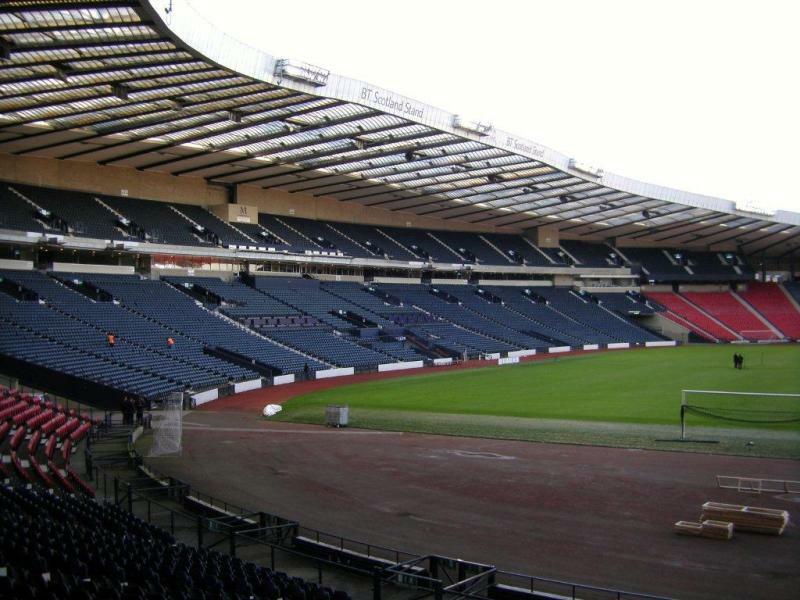 Hampden Park was built in the early 1900s the provide then top-club Queens Park with a larger home. 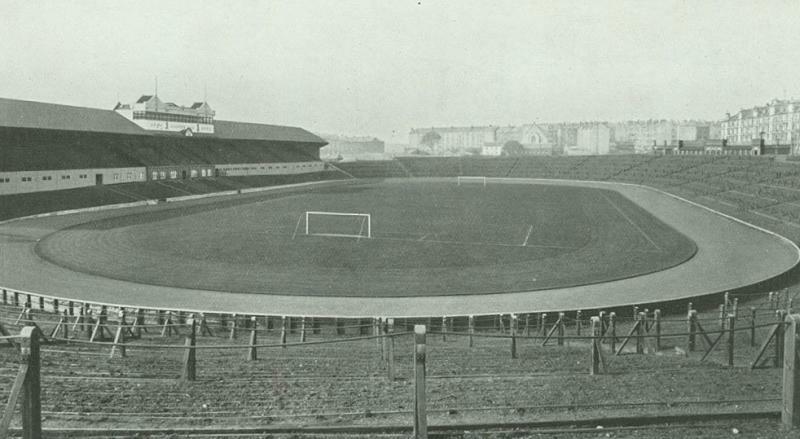 It officially opened on the 31st of October 1903 with a match between Queens Park and Celtic (1-0). 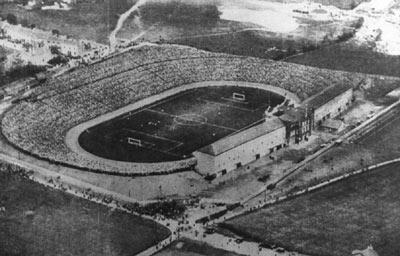 The stadium was bowl-shaped, with one covered main stand and vast terraces on all other sides. It then counted as the largest in the world and broke several attendance records. 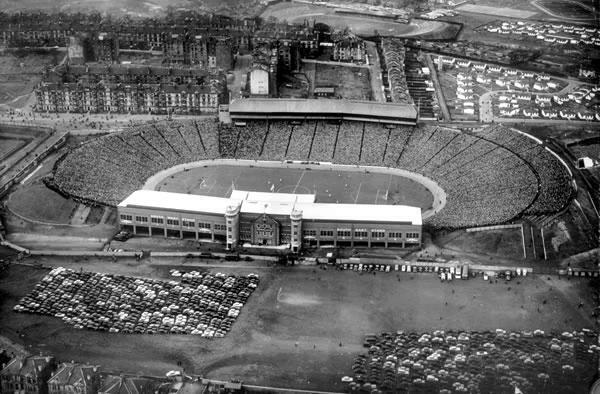 Hampden Park opened a new North Stand in 1937, and in the same year recorded its highest attendance when 149,415 fans came to see an international between Scotland and England. A week later, the Scottish Cup final between Celtic and Aberdeen drew an almost similar crowd. The official capacity of the stadium at that time amounted to 183,724, however this was limited to about 150,000 for actual matches. 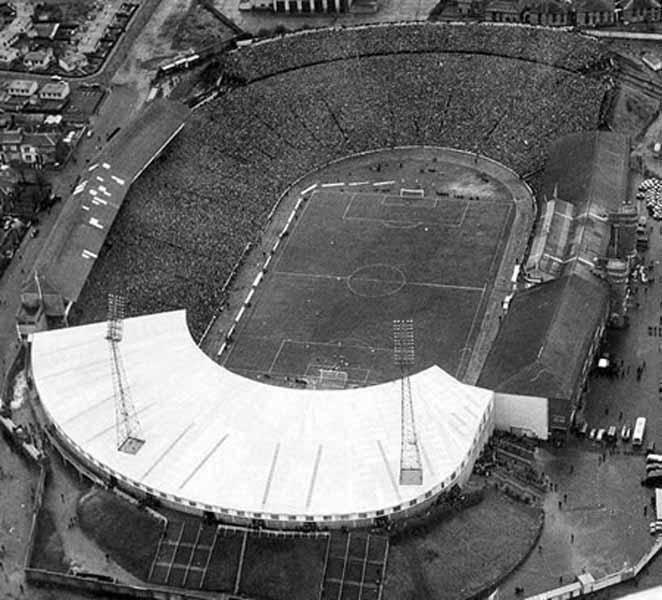 In 1960, Hampden Park hosted the European Cup final between Real Madrid and Eintracht Frankfurt (7-3), which 130,000 people attended. Two years later, the stadium hosted the first ever Cup Winners’ Cup final between Atlético Madrid and Fiorentina (1-1), which it once again hosted in 1966 (Borussia Dortmund vs Liverpool). 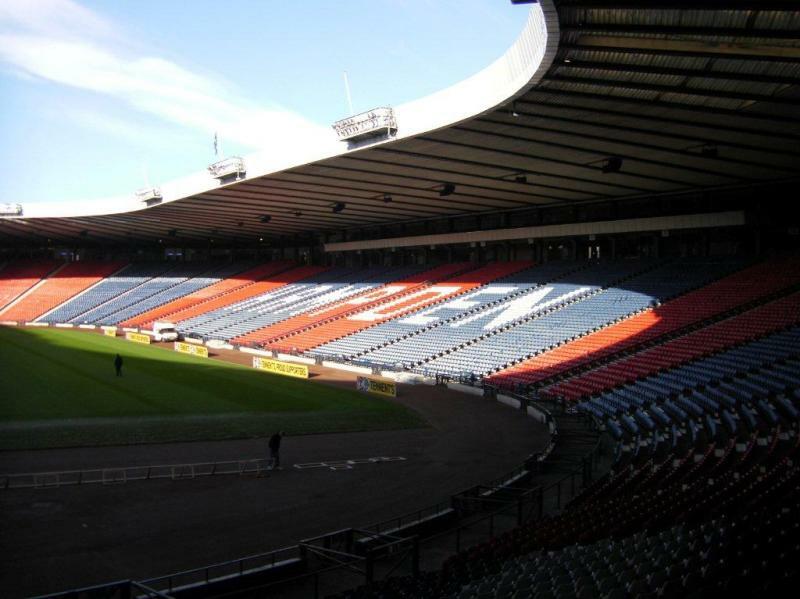 In 1976, Hampden Park would host another European Cup final, this time between FC Bayern and Saint-Étienne (1-0), however by then the stadium had already severely aged and lacked the facilities of many modern arenas of the time. 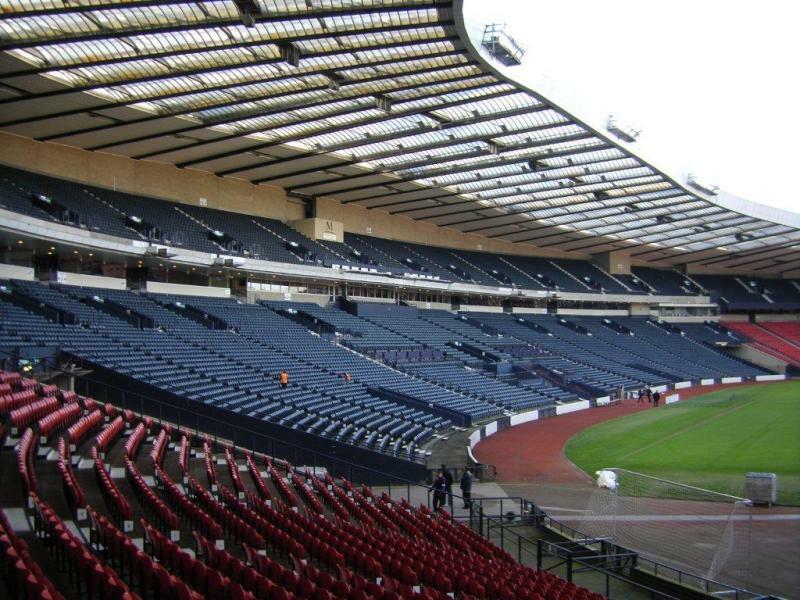 By the 1980s, capacity had fallen to below 80,000, and serious questions were raised whether Hampden Park had a viable future. It was finally decided to extensively redevelop the stadium, which meant almost completely rebuilding. Works started in 1991 and were finally completed in 1999. 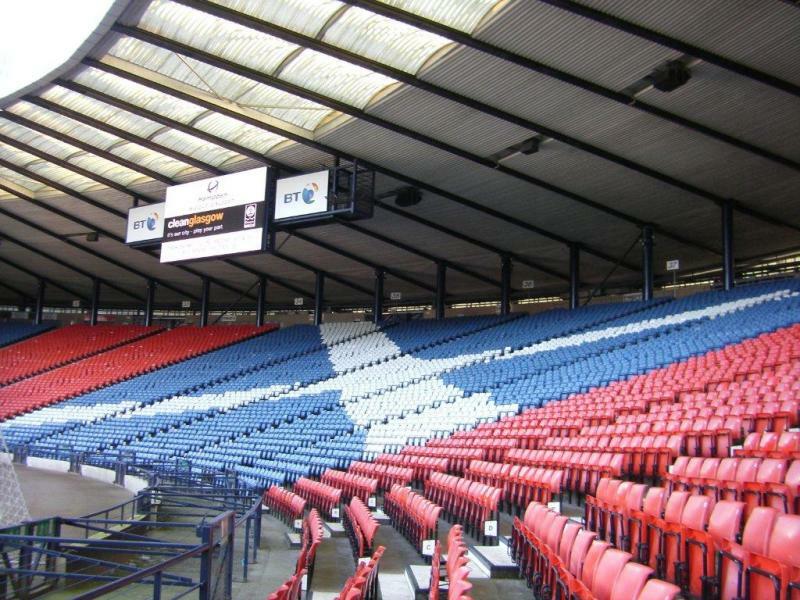 The Scottish Cup Final of that year was the first match played at the new all-seater stadium. 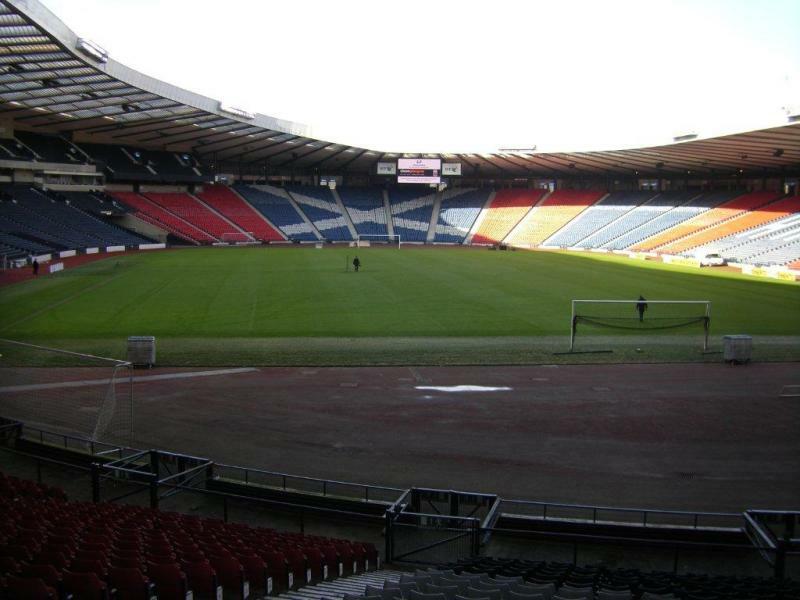 In 2002, Hampden Park hosted its first Champions League final with Real Madrid beating Bayer Leverkusen (2-1). In 2007, the stadium hosted the UEFA Cup final between Sevilla and Espanyol (2-2). 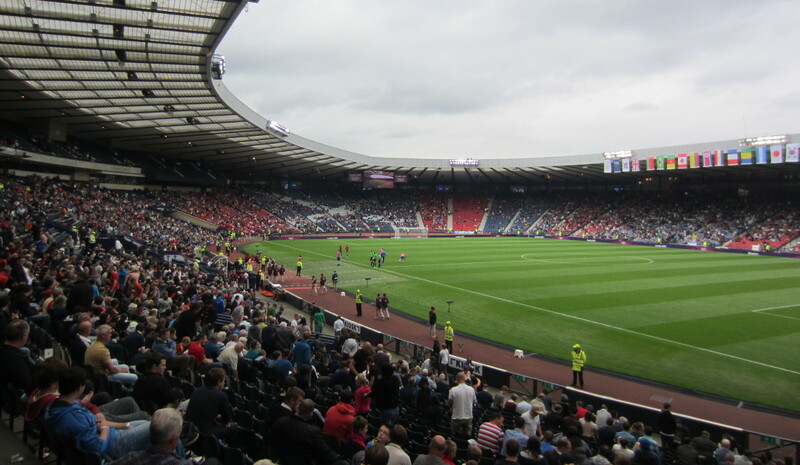 Hampden Park also serves as the Scottish national stadium, hosting all of Scotland’s home games, and is furthermore the annual venue of the Scottish Cup final. It was furthermore selected as one of the playing venues of the 2020 European Championships, hosting three first round group games and a round of 16 match. 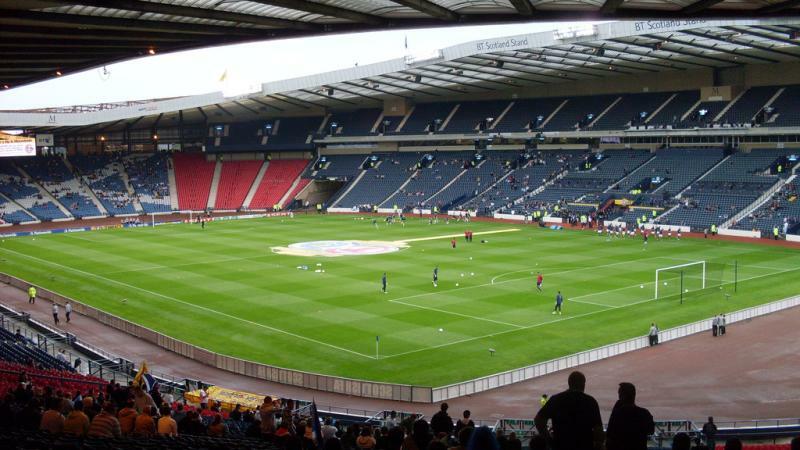 Hampden Park is located in the south of Glasgow at almost 3 miles from Glasgow’s city centre. The stadium lies a 10-minute walk away from Mount Florida and King’s Park rail stations. Take the train from Glasgow Central for the 10-minute journey (5 minutes more to King’s Park). Alternatively one can take bus 31 from Trongate, or bus 75 from Ingram Street, both in Glasgow’s city centre. The journey takes 15 to 20 minutes. From other locations other bus services are available. Hampden Park is located in a quiet residential neighbourhood. There are a few pubs and restaurants around, for example west of the stadium on Cathcart Road, but the options are limited and it may be a better idea to eat and drink in the city centre. The remains of the old Cathkin Park stadium lie just north of Hampden Park, and may be interesting to pass by. The Number 10 Hotel is a short 10-minute walk from the stadium. It gets excellent reviews, but comes in the higher price range. The Ivory Hotel is a bit cheaper, but also a bit further away. 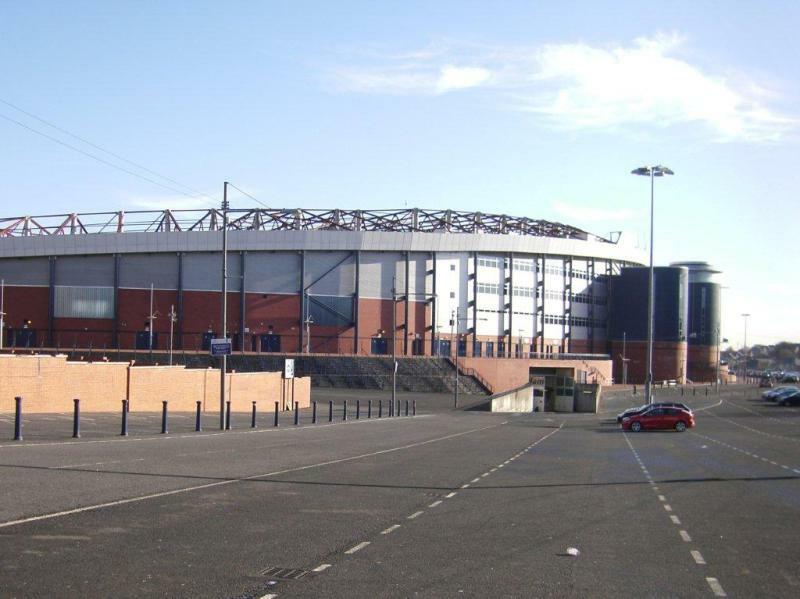 Click here for all hotels near Hampden Park. The quick train connections make staying in central Glasgow just as easy though. You can find the options in the centre here. Tickets for Queens Park FC matches can be bought at the gate and cost £12.00. 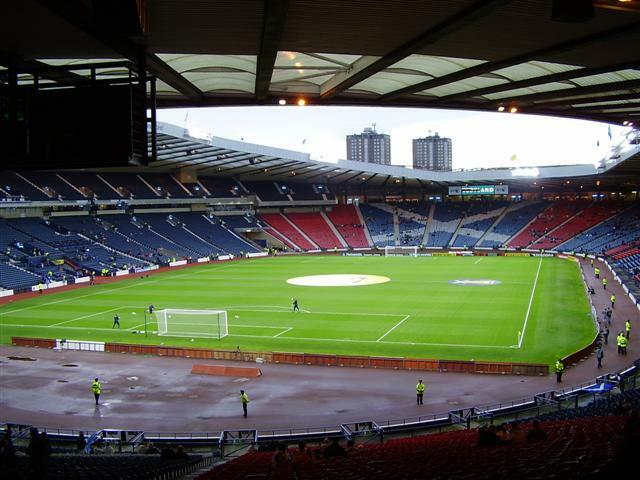 Ticket sales for Scotland matches go via the Scottish FA. 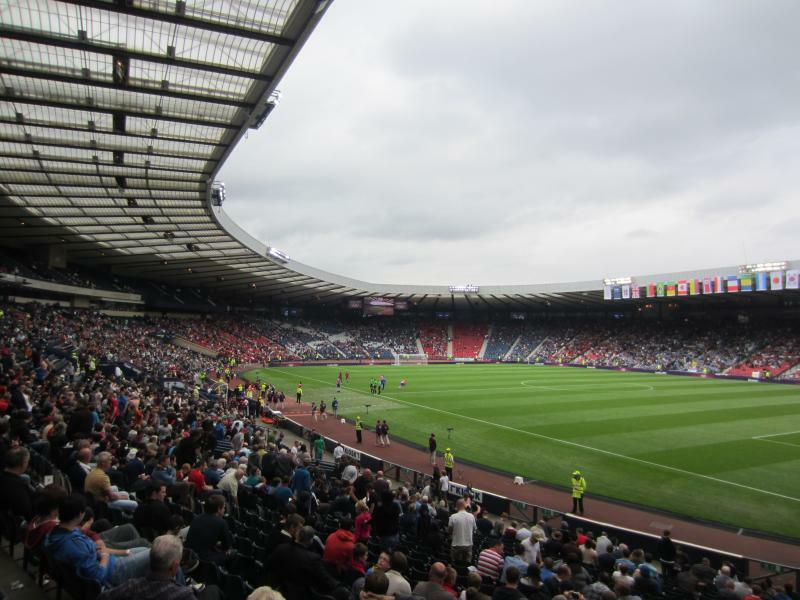 Hampden Park offers the Hampden Experience, which is a combination of the Scottish Football Museum, a stadium tour, and the Hall of Fame. Stadium tours run seven days a week at 11:00 am, 12:30 pm, 2:00 pm, and 3:00 pm. The Football Museum is opened from 10:00 am (11:00 am on Sundays) until 5:00 pm. Opening times can change subject to events. The museum costs £8.00, as does the tour. The combined ticket costs £13.00. For more information call +44 (0)141 616 6139 or email info@scottishfootballmuseum.org.uk. Queensparkfc.co.uk – Official website of Queens Park FC. 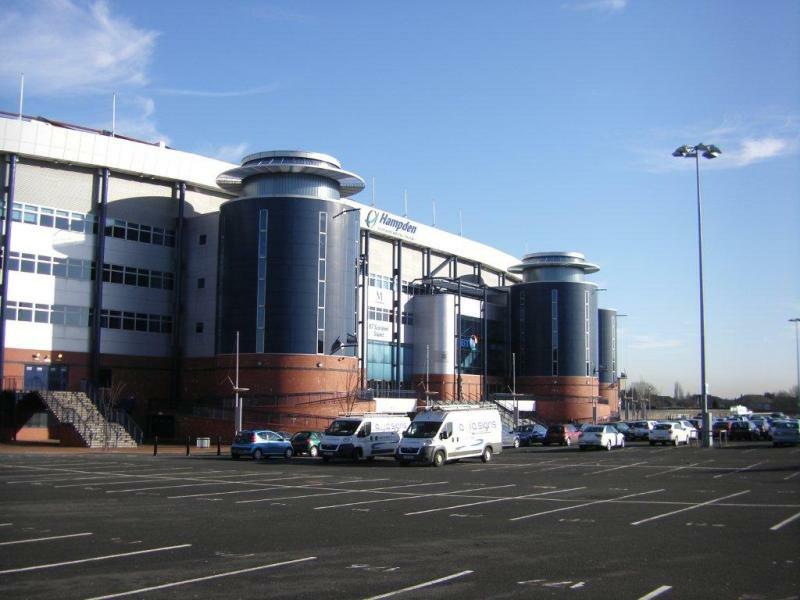 Hampdenpark.co.uk – Official website of Hampden Park. Firstgroup.com – Information on bus timetables and fares. Great tour with very knowledgeable guides who know the history of the stadium and help bring the place to life, don’t miss it.